December 2 marked the first day of the 24th Conference of Parties (COP24) at Katowice, Poland where parties have convened to continue the ongoing negotiations to formulate and adopt the final text of the Paris Rulebook—the rules and guidelines that would operationalise the Paris agreement. In the coming two weeks, parties will decide on the terms of how different elements of the agreement, including finance, market mechanisms, accounting of Nationally Determined Contributions (NDCs), Global Stocktake (collective global progress made towards achieving NDC targets), transparency and support, will be implemented from 2020. 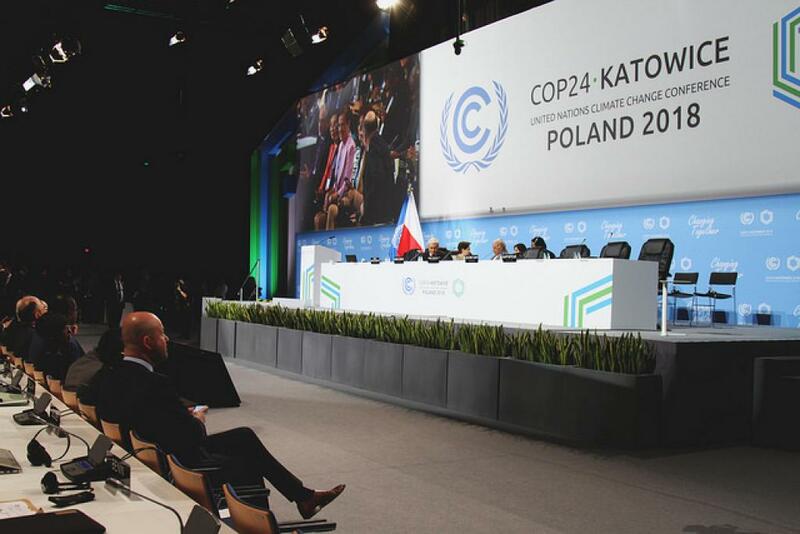 The first week of COP24 will involve the parties negotiating to arrive at a consensus on the final text of the rulebook, followed by its adoption in the second week and high-level statements from different parties. COP President Michal Kurtyka, who is also the state secretary of the Polish Ministry of Energy, opened this year’s climate session asserting the need for parties to show “creativity and flexibility, and to use the time available wisely to deliver the results we are all aiming for”. It is imperative that countries adroitly and efficiently negotiate the rules this week, as establishing a robust, just and balanced rulebook will be critical in setting the tone for enabling the global climate action needed in the coming years to achieve the Paris goal of limiting global warming to well below 2°C and pursuing efforts towards 1.5°C. Many parties reflected their keenness in creating an effective and robust rulebook in their statements on the opening day. Developing country parties, including BASIC, the African Group, Like Minded Developing Countries, asserted the need for striking a balance between adaptation and mitigation, for embedding equity, and for developed countries to provide support (financially, technologically and in terms of capacity building) to establish a just rulebook. The EU has suggested the possibility of addressing some of these concerns in their statement, particularly in the realm of finance (Germany announced last week that it will provide EUR 1.5 billion for the Green Climate Fund replenishment) and balancing mitigation and adaptation efforts, to achieve a robust rulebook outcome. Whether these issues and commitments will be aptly reflected, will finally be based on how the rulebook negotiations ensue this week. In the wake of numerous watershed climate reports released in the last few months that starkly present the projected deleterious impacts of climate change and the meagre global progress made on addressing the issue (i.e. the Intergovernmental Panel on Climate Change (IPCC) Special Report on Global Warming of 1.5°C, WWF’s The Living Planet Report 2018, The United Nations Environmental Programme Emissions Gap Report, World Meteorological Organization’s(WMO) State of the Global Climate), there is pressure on Parties to signal increased climate ambition pre-2020 at Katowice. The latest climate science has brought a sense of global urgency and parties must make use of the opportunities present during negotiations this week to take these findings into consideration and raise ambition. This pressure was also felt at the end of the Subsidiary Body for Scientific and Technological Advice (SBSTA) (a body that supports the work of the COP) session on December 3, when international organizations (IO) like IPCC, WMO, International Civil Aviation Organization were given the opportunity to provide their statements for parties to consider. In fact, oil dependent Saudi Arabia seemed threatened by the IOs scientific statements on climate impacts at the plenary and objected to their reporting at the SBSTA session, arguing that their voice was not being heard in this party driven process. However, their opposition was politely shut down by the French SBSTA presidency, who requested for the IOs’ statements to still be heard. One of the avenues through which parties can indicate their actions in line with the latest climate science is within one of the agenda items scheduled for this week - the pre-2020 actions that are to be taken. Given that the current Paris pledges set the world on a 3°C warming track, as the IPCC Special Report states, the hope is that Parties will take the scientific findings into consideration to raise ambition through this agenda item and limit warming in line with the Paris goal. Another avenue for countries to signal their ambition would be through the Talanoa Dialogue, an informal and transparent process structured around having a stocktake of current climate action. Creating a balanced Rulebook should also involve taking due consideration of the latest scientific climate change findings. It is integral that countries take corresponding action through opportunities present at Katowice, or risk facing the consequences of doing nothing. There is no better time than now for countries to step up.